Realm of Design is honored and proud to announce that our fireplace designs and architectural portfolio has been voted the Best of Houzz 2015 by the Houzz community. Special thanks to everyone who voted for us. 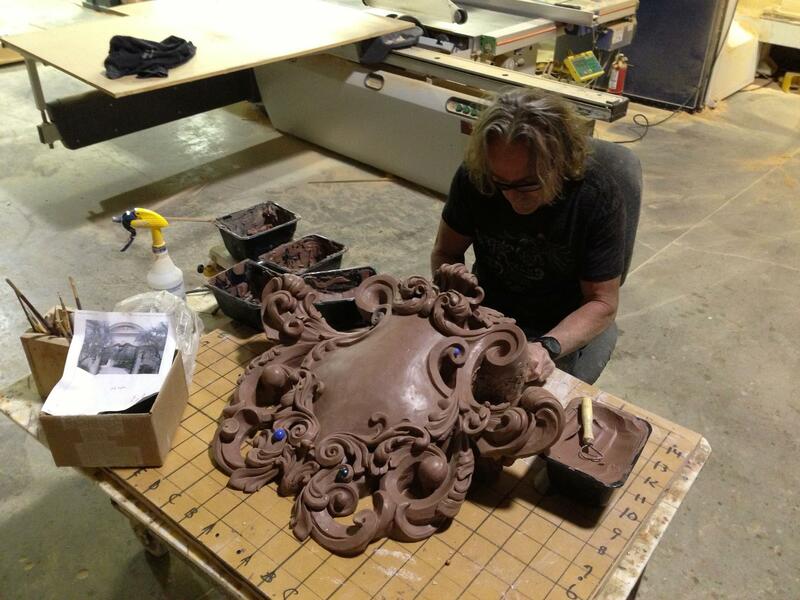 We work hard every day to design and create the most beautiful architectural accents and pieces. We also love what we do. It makes all of us here at ROD happy to know that our work is appreciated by so many. 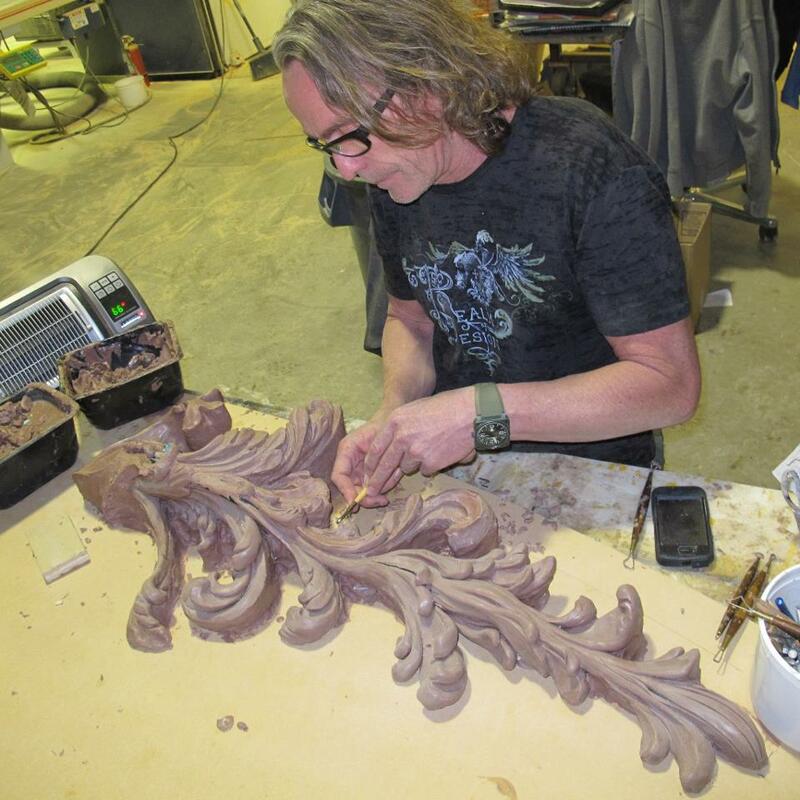 Our Realm of Design team looks forward to creating many more artistic architectural designs for you to enjoy. If you haven’t visited our HOUZZ page… click here. 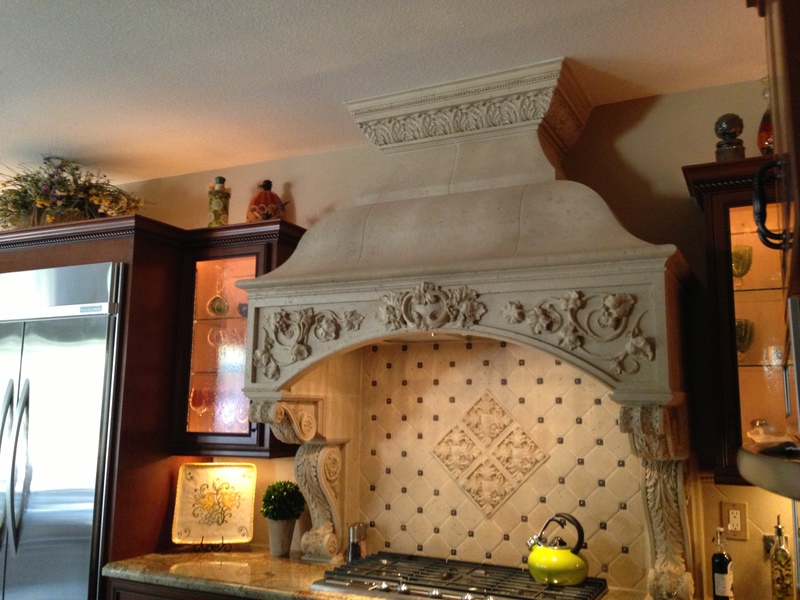 Our designs include custom fireplace mantels, custom fireplace surrounds, kitchen range hoods and other unique architectural accents. https://realmofdesign.com/wp-content/uploads/2015/06/best-of-houzz-2015.png 668 700 Carla https://realmofdesign.com/wp-content/uploads/2018/12/logo.png Carla2015-06-18 21:22:332019-04-09 20:00:17Realm of Design Voted Best of Houzz 2015!! 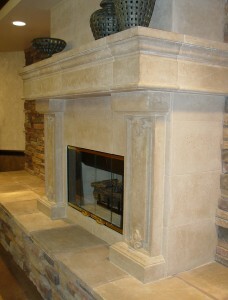 If your fireplace is in need of a makeover, start the new year by adding or remodeling a mantel. This home improvement project will not only give your fireplace a facelift but will freshen up the look of the entire room. 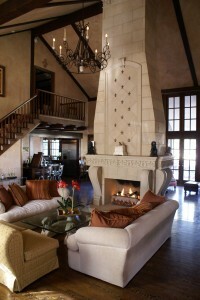 Converting a boring fireplace into a beautiful feature also creates an upscale vibe within the home. The mantel design should compliment the style of the room but still reflect the owners personality and taste. This can be achieved by having the mantel custom designed or by selecting a pre-designed layout. 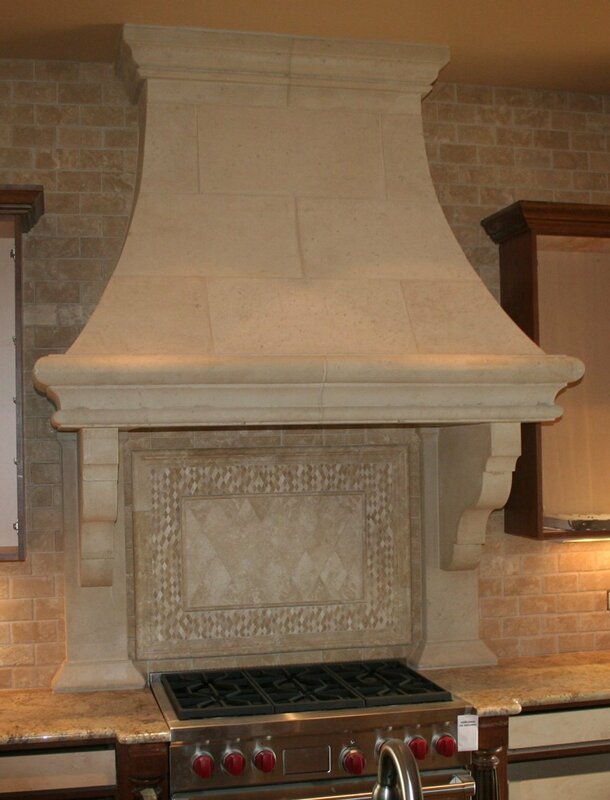 Cast stone is an attractive and practical material to use to create a beautiful mantel because of its design versatility, texture and lightweight benefits. 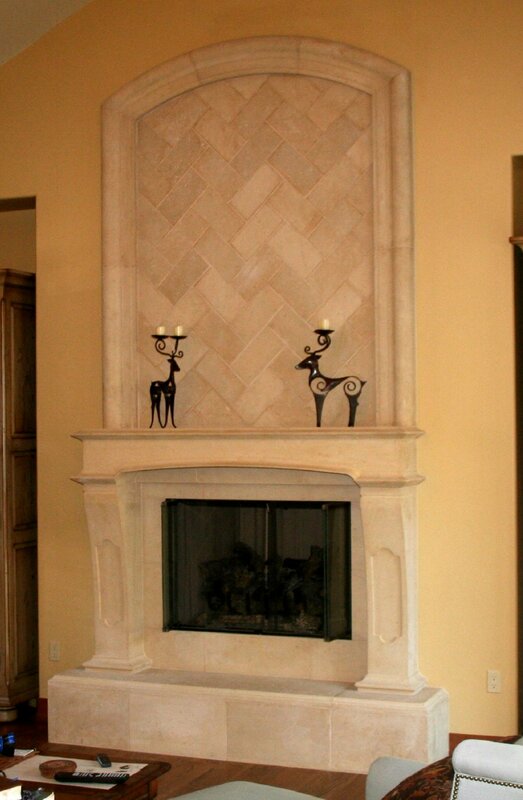 To further enhance the beautiful feature and not only create a focal point but a bold statement piece– include a custom overmantel in the design. 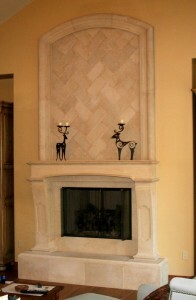 So if your home is in need of a new year’s remodeling project, start by revamping your fireplace with a remarkable mantel. 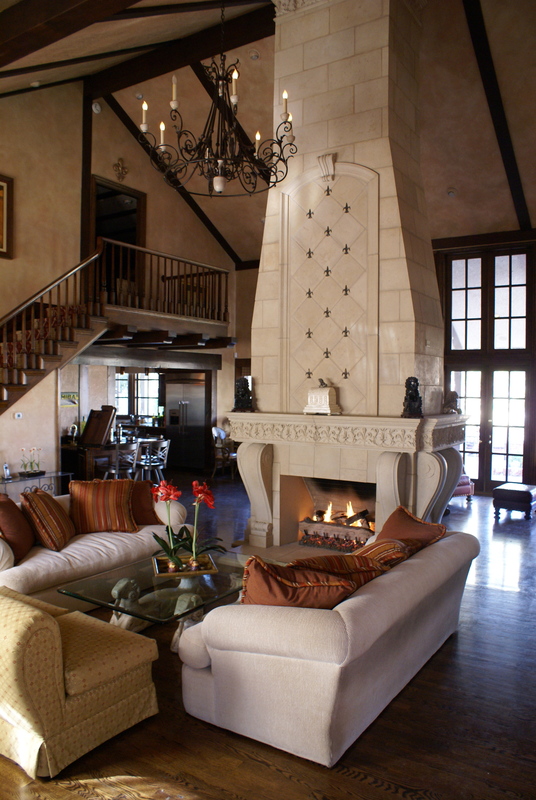 Realm of Design is happy to work with you in order to create a beautiful mantel design that will not only reinvent your fireplace but will enhance your entire space. A home decorating trend that was hot this past year and is forecasted to stay strong for the new 2014 is the addition of brass accents. 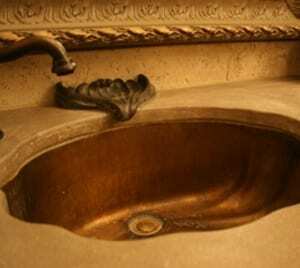 The use of brass in home decorating and design made a comeback in recent years but has really seen a steady climb in 2013 due to the the metal’s versatility and visual impact. The brass trend is a popular choice among designers and homeowners because the metal can be customized to accommodate any décor setting. Whether it’s a highly polished look to compliment a modern décor or a dulled antique finish to represent a warm, rustic, vintage feel, the brass trend looks like it is here to stay. An additional benefit of incorporating brass is that it is one of the most durable and strong metals with a resistance to corrosion. 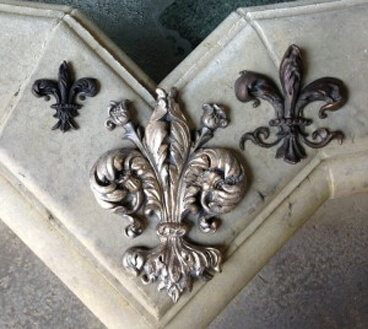 These attributes make the metal even more desirable to be utilized in décor and architectural elements. The beautiful earthly metal is ideal for kitchen & bathroom fixtures, fireplace surrounds, architectural accents and artistic sculptures. It is sure to add a timeless beauty to any space. So consider brass when doing your next renovation or decoration. Realm of design looks forward to creating the perfect brass accent to adorn your space. Columns have come a long way from being solely utilized for structural supports. 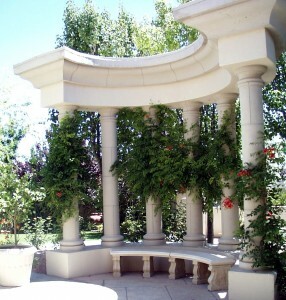 With the improvement of building and engineering, columns were able to be transitioned from necessary building blocks to decorative architectural accents. By today’s standards, decorative columns are considered a luxurious detail that add style and beauty to any home. When the vertical design feature adorns a property’s front porch or entryway, it not only makes the exterior more visually appealing, but it creates greater curb appeal. 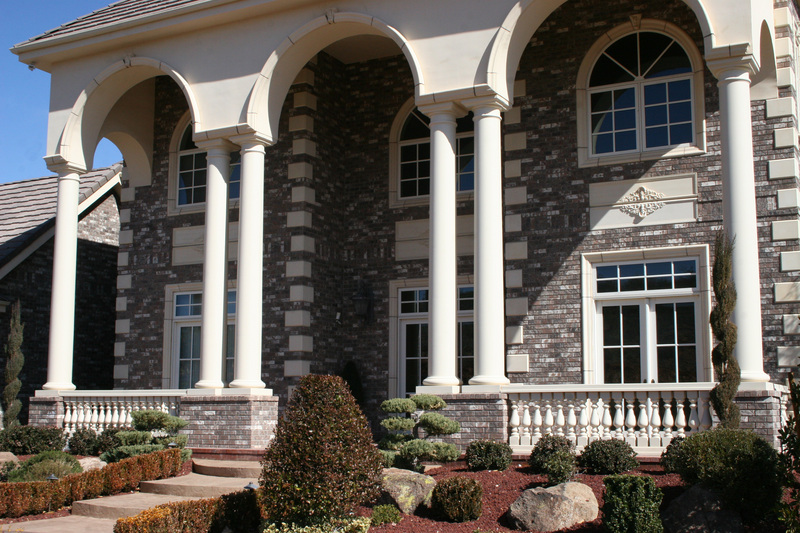 In addition to the outside exterior of a property, architectural columns can also benefit and add splendor to a home’s interior. When positioned at a room’s entryway, the luxurious accents create an upscale classy room transition for an exquisite finishing touch that will enhance the beauty and richness of any space. Architectural columns can be customized by Realm of Design to reflect a homeowners taste. They can be simple and sleek or artistically ornate. 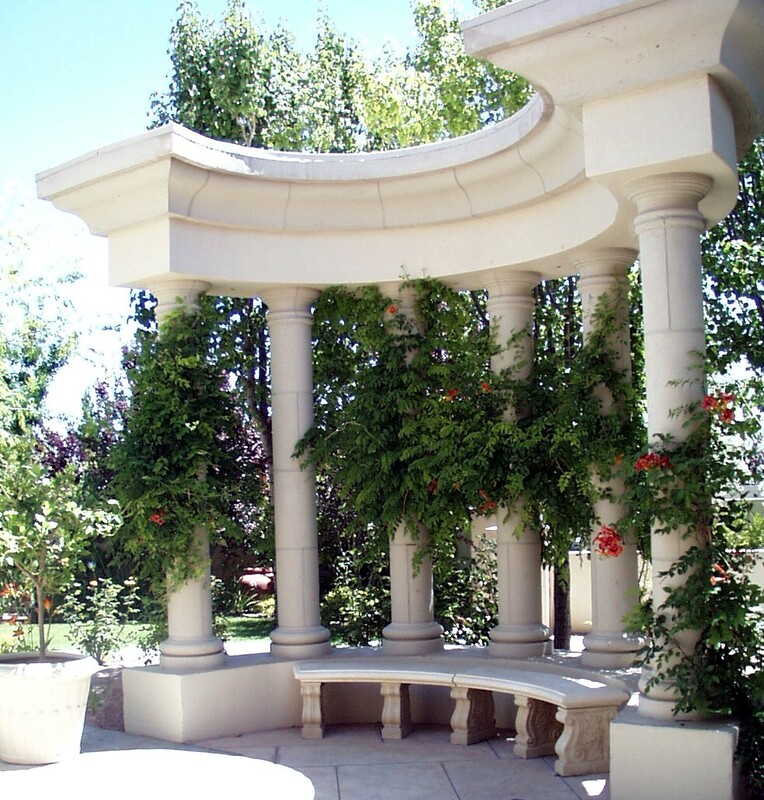 For those that wish to make their outdoor architectural columns even more interesting, creatively garnish the pillars with foliage and/or greenery. The natural grace will create an charming ornamental focal point that is the perfect design enhancement for a posh patio or courtyard. 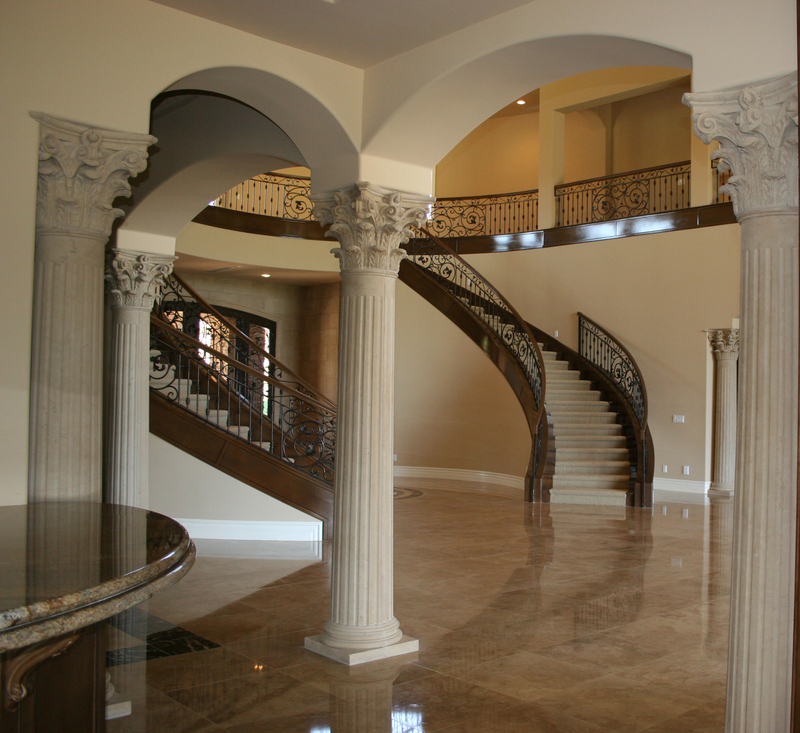 Whether decorative architectural columns embellish a home’s exterior or interior, they are certain to present an elegant, sophisticated touch. The holidays are such a joyous time to spend with family and friends. It’s that time of the year that we spend making our homes inviting and festive. But no matter where in your home the holiday celebration starts, undoubtedly, it will end up in your kitchen. It’s referred to as a Holiday Kitchen. The kitchen is not only the room where the holiday feast preparation begins, but it is where the conversations end as the left-overs are nibbled on while being wrapped up for guests to take home. And because the kitchen is already considered the heart of the home, as well as the most popular room during the holidays, it is the space given the most consideration and thought when it comes to renovating and accommodating guests. Considering the kitchen is the home’s center for entertaining, homeowners are opting to makeover their communal space to be functional yet fabulous explicitly for the Holidays. They are opting to impress their guests and work in stylish architectural showpieces within their hub, specifically to make the room more extraordinary and elegant– but still durable amid holiday entertaining. Some of these visually appealing architectural accents include a beautiful kitchen range hood, a custom backsplash and/or custom concrete counter-tops. 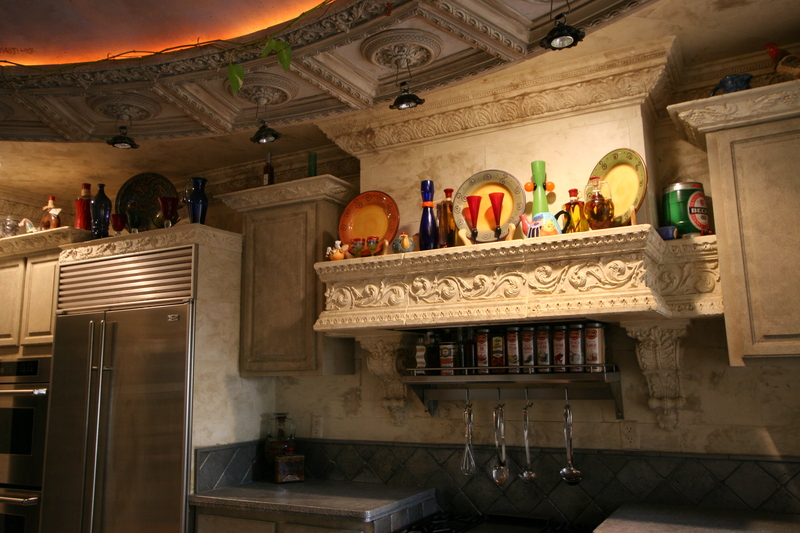 Some home-owners further include the addition of custom columns and/or a dome that can be decoratively garnished if they really have a hankering to further a festive flair to their kitchen. So if you are looking to remodel a room and enjoy entertaining guests in your home, especially at holiday time, consider revamping your kitchen first. Because an upgraded classy kitchen will not only help create valuable long-lasting memories, but it will also create an increase in value to the property’s equity. Whether you are remodeling your kitchen or designing it from scratch, a kitchen backsplash should be included if you want to give the room style and character. The kitchen backsplash is no longer considered just a practical element that protects walls from splashes and spills, but rather an important style element that can revive your kitchen. And because the kitchen backsplash provides form and function, it has become an essential component when transforming a tired kitchen. 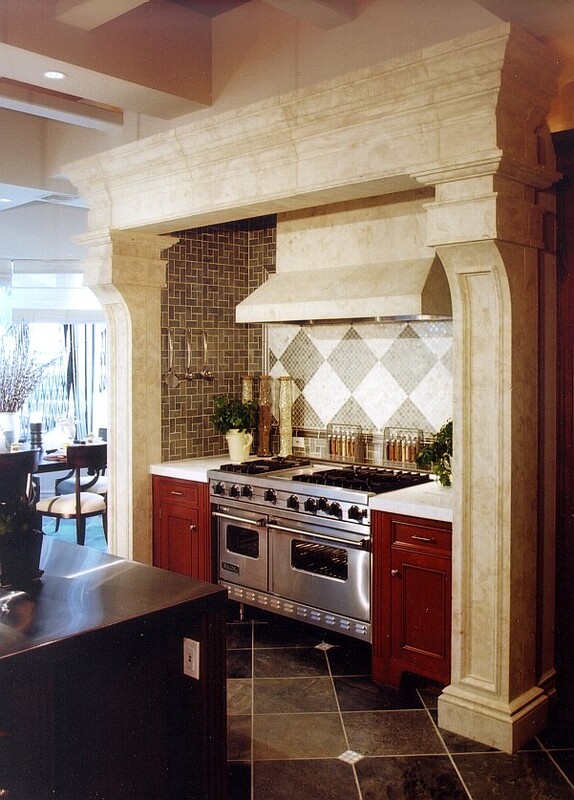 The kitchen backsplash can be customized to be low-key and subtle, just enough to bring the room together. 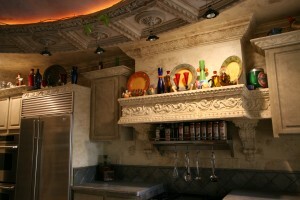 Or it can be elaborately designed, allowing for the accent to be the kitchen’s focal point. Whatever the design choice, the embellishment is certain to add taste and beauty to the room. However, the kitchen design trend seems to be leaning toward homeowners wanting to be unique and showcase their kitchen’s wall area with a distinctive attention-getting backsplash that makes a statement. By choosing to decorate with a creative, customized, kitchen backsplash, homeowners can present their individuality and personality in addition to amping up their kitchen’s aesthetic appeal. Not to mention, that by creating a focal point within the space consequently improves its visual appeal, which typically equates to a greater value of the home. When deciding on the backsplash material, stone is always a popular choice because it is elegant and timeless. Realm of Design’s Eco-Friendly GreenStone may also be utilized within the kitchen’s accent for those wanting to be “Green.”. Realm of Design can help your kitchen reach it’s full potential by designing and creating an original customized kitchen backsplash that will not only reflect your personality and style, but will reinvent your kitchen. When it comes to decorating this upcoming fall season, homeowners are preferring to adorn their homes with unique hand-crafted architectural elements. These custom artisan pieces have been gaining popularity and trending this season among homeowners for a few reasons. Mainly because unique custom elements offers an exceptional personalized look. 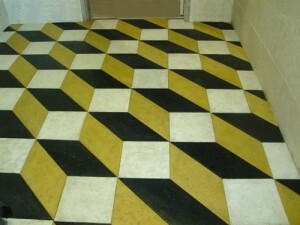 And home-owners are opting to be more original and express their individuality with their homes. Another reason hand-crafted home accents are gaining popularity is because the beauty and quality of these artistic pieces will not only compliment a room, but tell a tale. 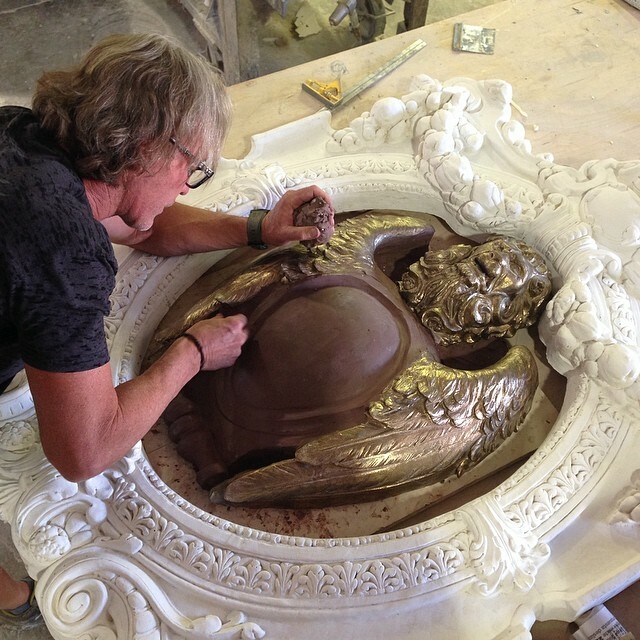 The story of a piece and the inspiration behind its artistic direction brings meaning to the element/ home accent, subsequently, creating a work of art that is not only visually stunning, but has the added bonus of being a great conversation piece. Decorative hand-crafted architectural elements come in many forms, fireplace mantels, kitchen hoods and crown molding– just to name a few; however, decorative wall-art pieces have been prevailing this season when it comes to home accents. 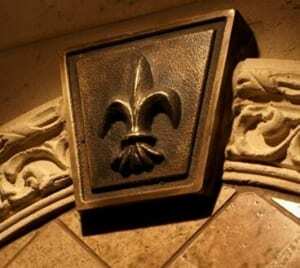 This is probably because sculpted wall-art pieces, especially wall cartouches, easily add instant panache and style. Also, sculpted pieces are extraordinary for enhancing a room’s artistry –whether it’s indoors or outdoors. 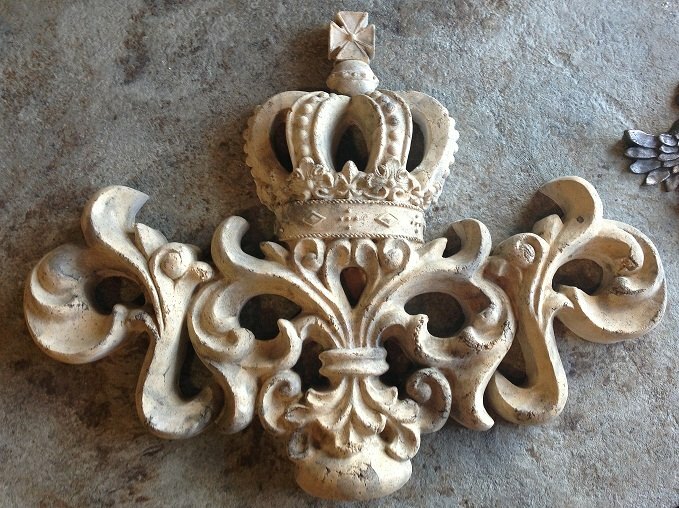 Stone, brass and recycled materials are all common materials for sculpted elements, however, artistic pieces that are manufactured with cast-stone material continue to be the ideal front-runner for wall accents because they are light-weight and can be easily hung on virtually any wall surface. So why decorate your home with boring, stock, run-of-the-mill home accents and elements? Instead, be unique and opt for artistic hand-crafted accents. 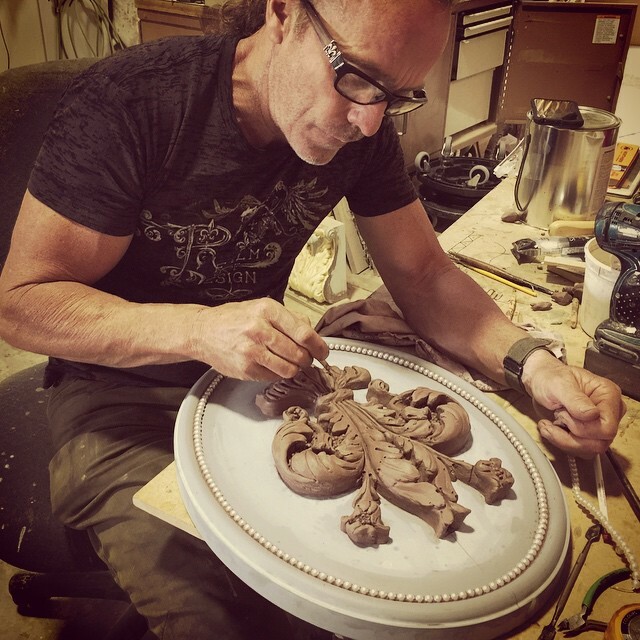 At Realm of Design, each custom element is individually crafted by a master artisan whose work reflects passion, historical inspiration and personal experience combined with the homeowner’s personality and taste. 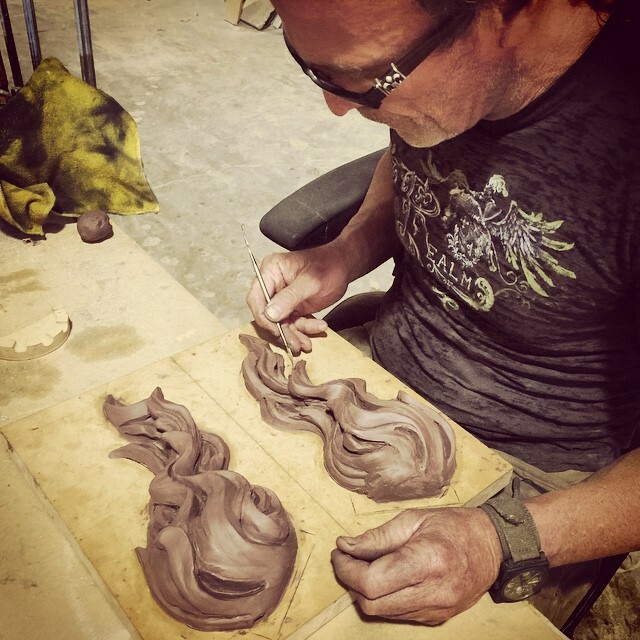 The artistry and craftsmanship that goes into each and every Realm of Design custom element truly sets their work apart from the rest shaping each hand-crafted accent into a bona fide work-of-art. A top French Television news station, France 5, recently paid a visit to Las Vegas Nevada suburb, Henderson, to film a documentary segment on the infamous Morrow Royal Pavilion aka the Beer Bottle Building–which was constructed with Realm of Design’s patented recycled glass material,GreenStone. The documentary segment will feature the world’s largest building constructed with recycled beer bottles on the station’s popular weekly TV Show “Echo-Logis” focusing on Architectural Green actions and environmental innovation. The sustainable building, which acts as Realm of Design’s manufacturing facility, gained the attention of the French show producers after reading about it on the internet. They were fascinated by the MRP’s architecture and how the recycled glass building contained over half a million beer bottles from the Las Vegas Strip that were originally destined for the dump. And for France 5, being a news network station that covers and promotes green initiatives, producing a segment on The Morrow Royal Pavilion and Sustainability in Las Vegas seemed an excellent journalistic choice. The station’s French news crew visited the Morrow Royal Pavilion Thurs. Sept. 12 & Fri. Sept 13, 2013 where they spent both days filming the Booze Building from all camera angles. The crew even filmed some footage using a high-tech drone video camera, looking similar to a miniature helicopter, that captured high-definition video while remotely flying around the building. The segment producers and journalists also interviewed the building’s designer/ builder, and GreenStone inventor, Scott McCombs along with his Realm of Design co-owner and wife, Cindy McCombs to discuss GreenStone and the challenges of promoting green products in Sin City. The Eco-friendly Morrow Royal Pavilion first made national and international headlines when it was featured on DIY Network show “This New House.” The show illustrated how the patented GreenStone material is manufactured and how it was utilized to construct the Morrow Royal Pavilion as well as other architectural accents Realm of Design manufactures. The popularity of the DIY TV show triggered a media frenzy that included a spot on HGTV’s “Extreme Homes,” as well as news articles published in the Huffington Post, Yahoo News, DailyMail, Inhabitat and TreeHugger just to name a few. The France 5 Echo-Logis television segment is scheduled to air in December 2013 on the French Network. The exact date and time TBA. More details about the French station and its programs can be found at www.France5.fr. 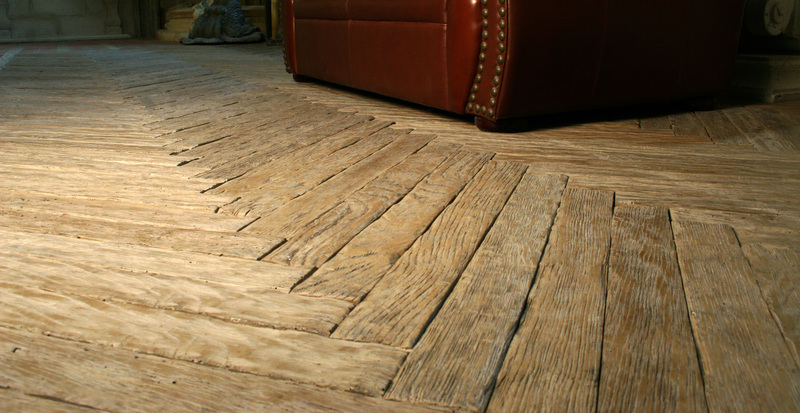 Fall is the perfect time to consider upgrading the flooring in your home. And according to HGTV, a popular trend in flooring this fall is to “Go Green” and utilize recycled materials. This is why Realm of Design’s flooring manufactured with GreenStone—which incorporates recycled glass in its concrete material—is the perfect flooring choice. 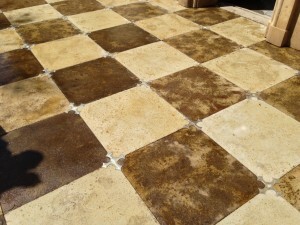 Upgrading your flooring from carpeting to GreenStone filled concrete tiles is an outstanding green renovation because it’s not only environmentally friendly, but it’s fashionable. With Flooring being such an important part of designing and/or renovating a home, because it provides form and function, the flooring product should be proven. That’s another reason why concrete tiles with Realm of Design’s patented GreenStone are an excellent flooring choice. It’s distinctly stylish, simple and sophisticated. The sustainable tiles are customizable and can be made to look like sleek wood or textured concrete to accommodate any design style. These versatile tiles are sure to add beauty and warmth to any room. And as an added bonus, they are also very durable and low maintenance which pet-owners find favorable. So if you would like to join in the ranks of homeowners “Going Green” with their flooring, then select the perfect eco-friendly floor – Choose Realm of Design’s green and chic concrete tiles made with GreenStone. Miscellaneous – Trash Cans, Benches, etc.